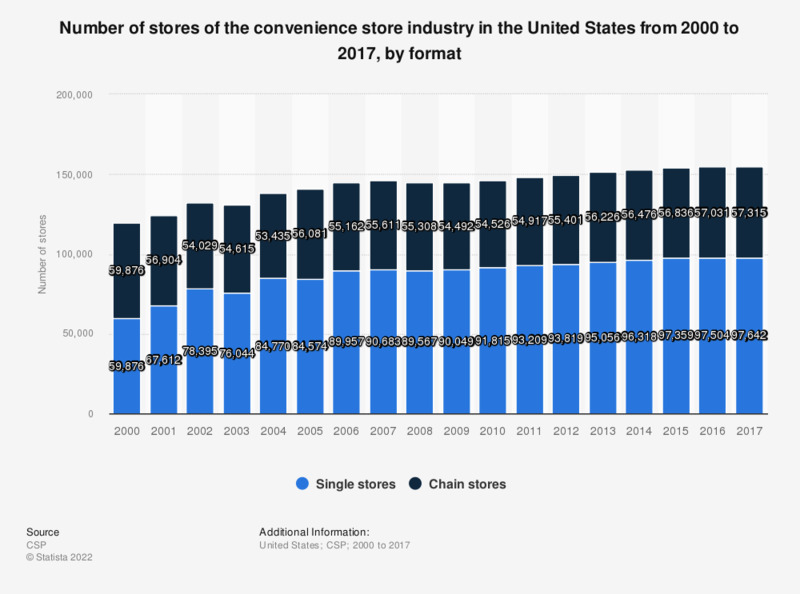 This statistic shows the number of stores of the convenience store industry in the United States from 2000 to 2017, by format. In 2017, the total number of single store convenience stores in the United States amounted to 97,642. Statistics on "Convenience stores in the U.S."
Convenience stores in the U.S.